Brussels (ANA-MPA – A. Panagopoulos) Prime Minister Costas Karamanlis on Saturday said the agreement reached by EU leaders on a reform Constitutional Treaty for the Community was an important step forward for the European Union. In an early morning press conference, after the leaders of the 27 EU member-states had wrangled hard and long into the night, Karamanlis stressed that the European Council had endorsed a detailed mandate to negotiate a reform treaty and convene an Inter-Governmental Conference, which would soon be done by the Portuguese presidency of the EU. According to the prime minister, the efforts of all sides had been vindicated, especially of the German presidency that had worked right up to the last minute to find a solution to the very major problems that had arisen. He also personally congratulated German Chancellor Angela Merkel for the efforts she made in order for the summit to arrive at the deal. The spirit of united Europe had emerged a winner, in spite of the scepticism put forward by many, the Greek prime minister added, noting that compromises were necessary and often useful in the EU. Karamanlis also noted that individual traits were taken into account in the EU but that the deal clinched between EU leaders was a steady step forward, a step toward the future. The Greek premier underlined that Greece and the other 17 countries that had already ratified the previous version of the constitutional treaty had played an active role in efforts to find a solution and help Europe emerge from the stalemate of the past two years. At the same time, they showed solidarity toward the partners that had problems. 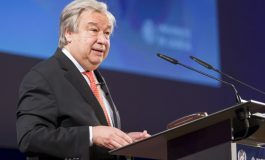 Among the elements of the new treaty, the prime minister said, was the fact that it created the conditions for Europe to adopt a single voice abroad through its High Representative, gave increased powers to the European and national Parliaments and ordinary citizens and provided for a single legal entity for the Union. It also dealt with issues concerning citizens’ daily lives, such as public services, energy, civil protection, social cohesion and others, he added. Asked whether the decision reached by EU leaders on Saturday led to a more powerful Europe, Karamanlis again stressed that the deal was an important step considering the position that Europe had been in for the past two years, which was essentially that of a crisis and a dead end. “We and many others would have preferred if there were no changes but this is how Europe moves forward,” he added, while stressing that the core elements agreed in the original Euro-Constitution remained in place. The Greek premier also pointed out that there were different views among the EU partners about just how much Europe was desirable, repeating that Greece would like to see more Europe rather than less. “In any case, an agreement was achieved that is a good agreement and a step forward,” he stressed. 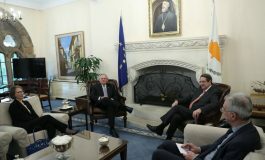 Commenting on the difficult negotiations and talks, Karamanlis said that the picture up until Friday afternoon had not been good and that this was not due to tactical manoeuvring but to difficulties that had to be overcome. Regarding Poland’s stance and how the problems in that area were surmounted, the Greek premier said a compromise had been difficult because many countries had misgivings. “We had to decide whether to break with a country or exhaust the margins for finding a solution,” he said. 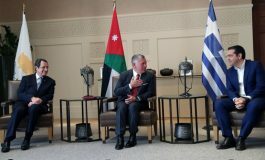 He mentioned that Greece made a decisive contribution and he had personally intervened with the German presidency so that it would make one more effort to find a solution. Regarding his personal conclusions from the results of the summit, Karamanlis said he was convinced that Europe must proceed with the Inter-Governmental Conference on the one hand, and that “we must move with the other partners that desire more Europe in the direction of enhanced cooperation” on the other hand. On the content of the detailed agreement, the prime minister said it had “a constructive syntax and phraseology,” while noting that many of the changes made did not touch the substance of the deal but were minor phrasal and ‘image’ changes seeking to accommodate those countries that had problems getting the deal accepted. He pointed out that voters in two countries that were in the heart of Europe, France and the Netherlands, had rejected the previous version of the Treaty in a referendum. Every effort had to be made, therefore, to facilitate them. In addition, there were also other countries that had problems with the agreement, Karamanlis said. Regarding the EU Charter of Fundamental Rights, Karamanlis noted that, while the text of the reform treaty did not make any provision for this, it woud be a joint statement by the three main EU authorities that would continue to be legally binding, as under the previous treaty already ratified by Greece. Asked whether Greece had raised any objections or voiced displeasure at the compromise finally reached, Karamanlis replied negatively and stressed that Europe, after a long period of consultation had listened to its citizens and proceeded with Saturday’s decision. 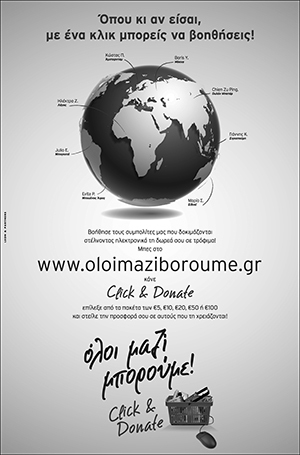 Karamanlis also congratulated Cyprus and Malta on their accession to the eurozone after January 1, 2008. Under the deal reached on Saturday, European leaders endorsed a negotiating mandate and the convening of an Inter-Governmental Conference for a reform treaty to replace the EU Constitution rejected in 2005 by French and Dutch voters. The treaty will preserve key features of the constitution, such as the creation of a long-term president of the Union, a foreign policy chief with increased powers to represent the EU, to be styled High Representative of the Union for Foreign Affairs and Security Policy, and a bigger say for the European and national Parliaments. Poland’s concerns were finally assuaged by an agreement that puts off introduction of the full application of the new decision-making procedure until 2017 along with other concessions proposed by Germany.